This program is to introduce young preschoolers to skating, and get them comfortable with being on the ice. This program is 30 minutes once a week. 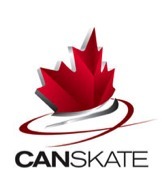 It is also a stepping stone to the CanSkate program. 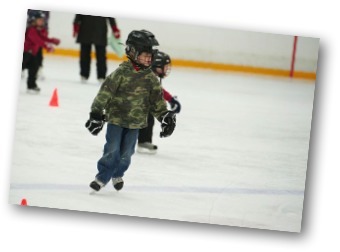 CanSkate is a learn-to-skate program that focuses on fun, participation and basic skill development. You will learn a complete series of balance, control and agility skills taught in six stages of learning that pertain to hockey, ringette, speed skating and figure skating as well as general recreational skating. You can expect Action, movement and fun! Lesons are given in a group format with a coach-to-student ratio of a maximum 1:10. Skaters progress at their own rate and coaches make session active using teaching aids, upbeat music and a wide variety of activities that create a motivational environment and promote learning. 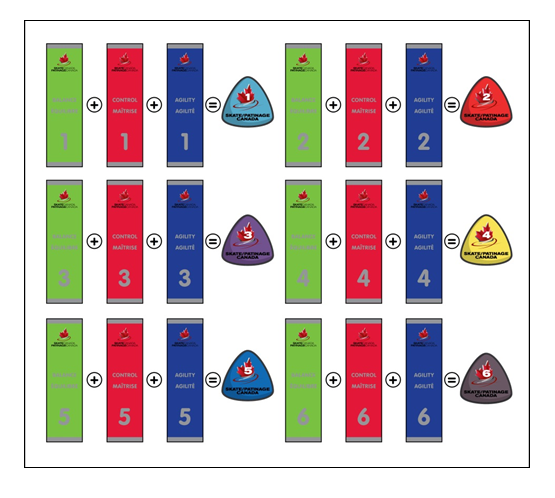 Badges, ribbons and other incentives are used to benchmark skaters' progress and reward effort and participation. 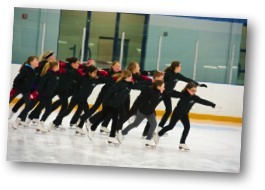 This program focuses on skating skills at a higher level, and is the beginning step to entering Skate Canada figure skating programs. Advanced CanSkate introduces other elements such as stroking, skate edges and creative movement. This teaches skaters about having a solo and how to create their own skating solo piece. This program allows for skaters to learn figure skating skills while enjoying a fun, physical activity. 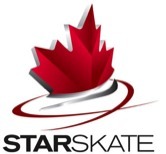 Starskate encourages skaters to develop more advanced skills in various areas such a Skating Skills, Freeskate, Dance and Interpretive skating. Skating Skills are exercises skated to prescribed music containing edges, turns and field movements where quality, control, power and speed are basic fundamentals mastered in this area. Test levels: Star 1-5 and Sr Bronze to Gold. In Freeskate, skaters learn how to execute jumps and spins in a variety of positions. They also learn how to incorporate these and other skills into a program of a specific length using connecting steps and music interpretation. It is also divided into six levels similar to the skating skills above. Dance consists of seven levels of tests. Dance teaches timing, musicality, rhythm, interpretation, structure as well as basic skating skills such as edges, control and unison. Dancers skate with a partner to various pieces of music. 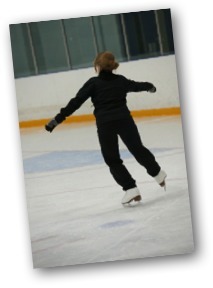 Interpretive skating encourages creativity and movement to music and allows skaters to explore the performance aspect of skating without focusing on technical elements. Synchronized Skating or “Synchro” is a specialized discipline of skating involving groups of 8 or more skaters performing group formations or “elements” and transitions in unison to music, while demonstration quality edges, power and flow. This is a wonderful ‘team’ sport for skating. Adult skate encourages fun while brushing up on your skating, or stepping on the ice for the first time. This program is “Learn at your own pace” with the help of a professional coach.